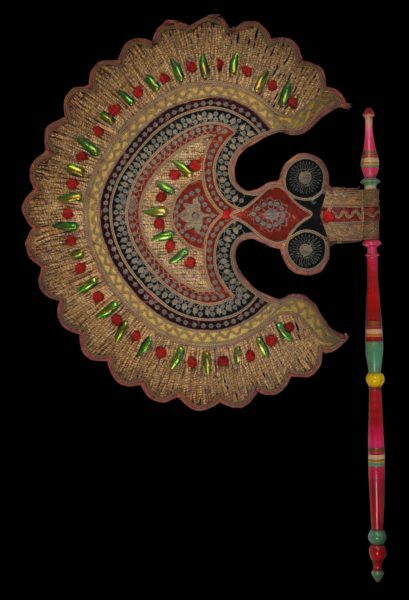 This hand fan is remarkable for its fineness and degree of preservation. Fluorescent beetle wings have been applied as decorative devices to both sides of the fan. 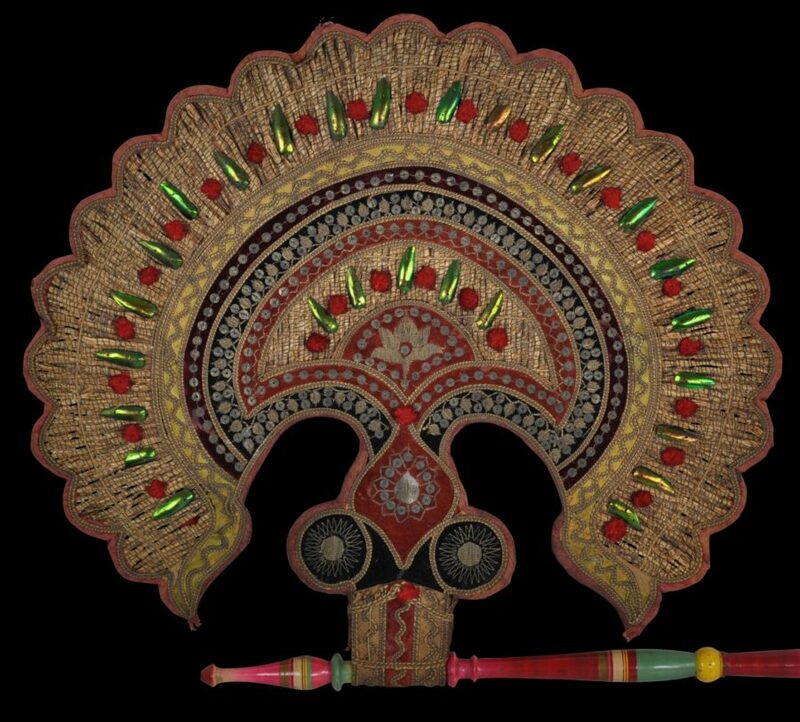 We are not aware of similar Indian fans decorated with beetle wings having been published. 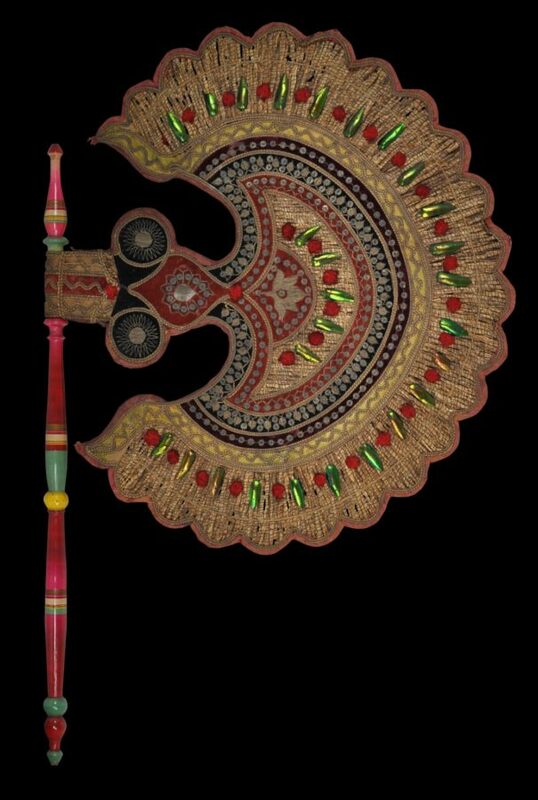 Such fans were used ritually in temples and in temple processions, usually to fan bronze images of Krishna and other idols, in keeping with the practice of treating such images as if they are life-like. 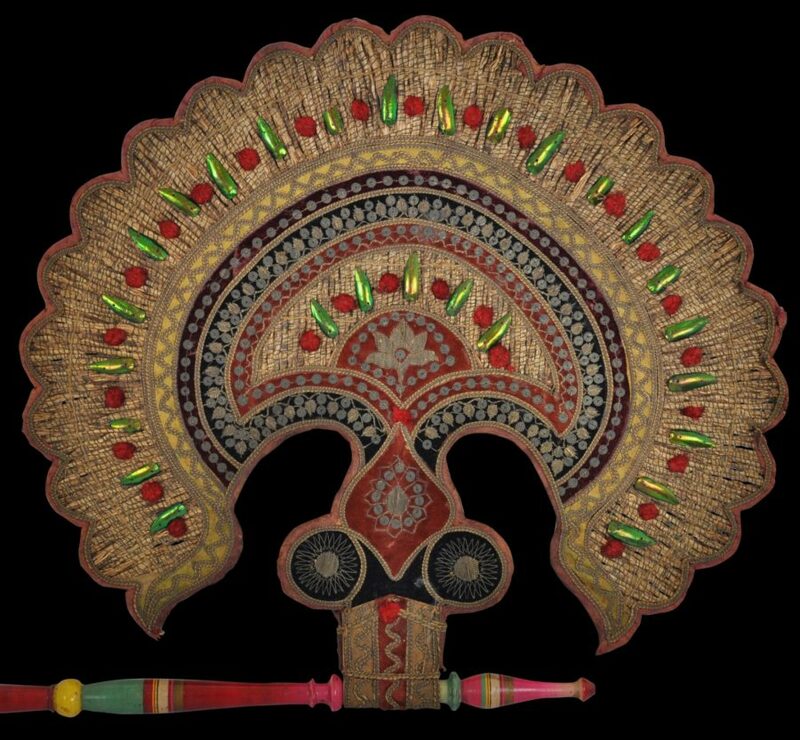 This museum-quality fan is in excellent condition and is without losses or fading. Aryan, S., Unknown Masterpieces of Indian Folk and Tribal Art, KC Aryan’s Home of Folk Art, 2005. Hutt, J. et al, Fans from the East, Debrett/V&A, 1978.